This week on Now and a Long Time Ago, GM slides over to M between Wisconsin and 33rd. Due to some technical difficulties with his computer, GM doesn’t have one of those nifty slide features working today, but you get the drift. The photo above was taken in 1966. 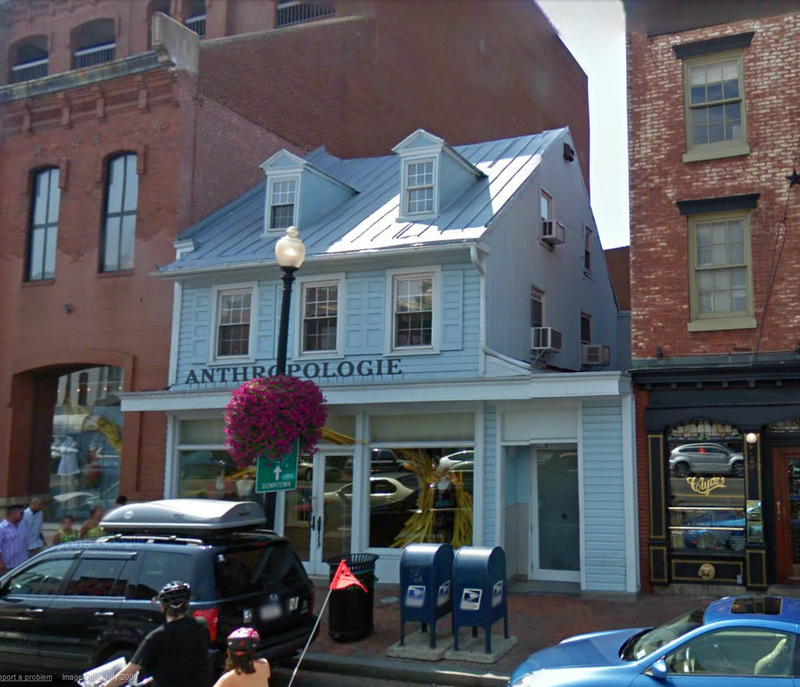 The building at the center is the Reckert House, which is one of the oldest commercial buildings in Georgetown and one of the only wood frame structures on M St. It was built in the late 18th century. It was at one point owned by Francis Dodge, who owned the Dodge Warehouse on the corner of Wisconsin and K. By the early 20th century it was owned by George Reckert who ran a grocery store there. 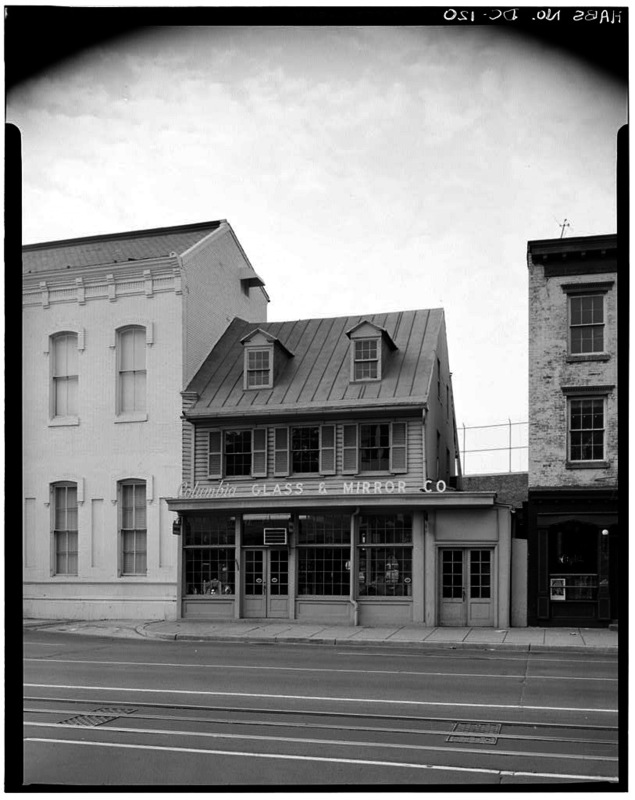 Starting in 1960, it housed the Columbia Glass & Mirror Co., which as you probably recognize from their current location in Glover Park (they even use the same font for their sign!). On the left you can see that there’s just air where the Georgetown Park condos now loom.